A safe, pure concentrated natural citrus solvent for degreasing and cleaning adhesive residue on all surfaces. 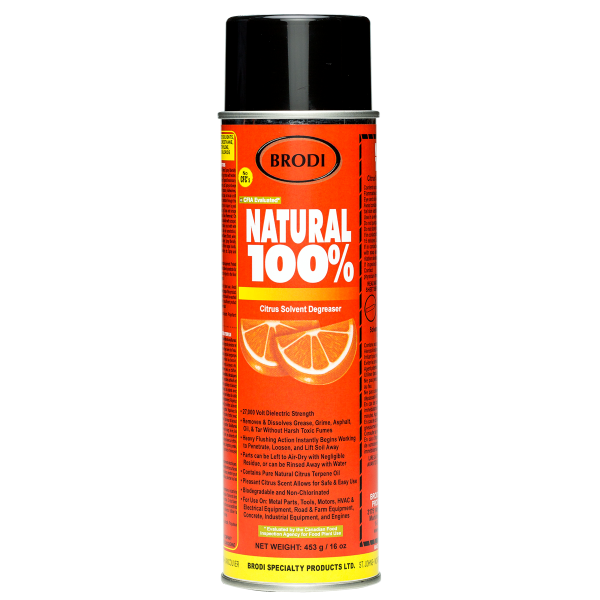 This Natural citrus solvent degreaser helps remove and dissolve grease, grime, glue, asphalt, oil and tar without harsh toxic fumes. 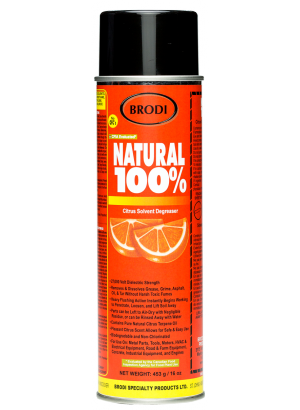 16 oz Aerosol spray bottle makes it convenient and easy to apply to all surfaces. 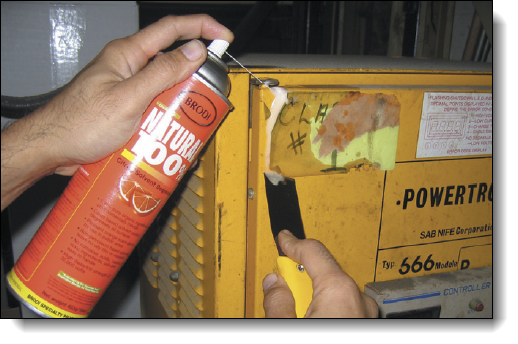 For use on: metal parts, tools, motors, HVAC & electrical equipment, road & farm equipment, concrete, industrial equipment, and engines.